MB-Sort is a specialist for material recycling on a market with great potential and offers professional contract sorting of all kinds of complex and technically problematic materials. The objective is to recover secondary raw materials from different kinds of mixed fractions, for example from electric and electronic waste, metal waste, and plastics. Every month MB-Sort recycles up to 200 tons of various mixed fractions. 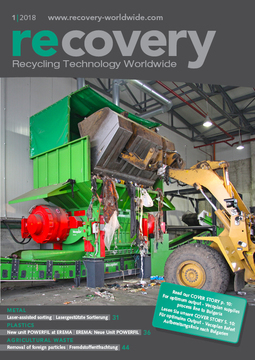 Its customers include recycling companies and companies from the manufacturing industry. „In our own sorting line the material must be sorted into different material groups or cleaned. Sesotec‘s VARISORT COMPACT system is optimally suited for this task,“ says Markus Burghart. The material to be inspected is fed into the VARISORT COMPACT system by means of specifically adapted vibration feeders that ensure a homogeneous material transfer onto the full width of the high-speed belt conveyor. The combination of infeed slide and belt conveyor eliminates form, weight, and friction influences of the material that is fed in. At the end of the belt conveyor the material is classified by means of corresponding sensors. After evaluation of the relevant information, high-speed valves are activated with a corresponding delay time for material discharge. Particles that must be separated are deflected from their original trajectory by exactly targeted compressed-air blasts and thus fall into a separate shaft. 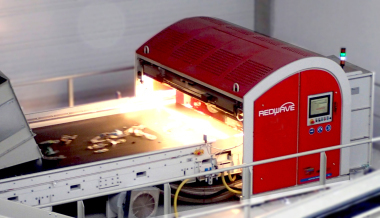 The VARISORT COMPACT CM+ recycling sorting system among others is used for the sorting of shredded small electric/electronic devices. 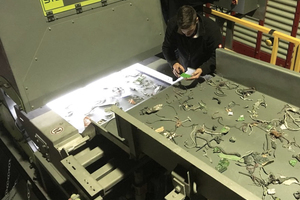 The purpose of sorting here is to separate printed circuit boards, copper, aluminium, stainless steel, and to generally remove metals from electronic waste plastics. In multi-sensor operation the C and M+ sensors are combined. The C sensor unit provides information about form and colour, and the M+ sensor is responsible for metal detection. With this combination a high metal purity can be achieved and a usable plastic fraction can be obtained as a result. 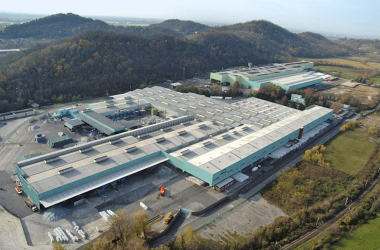 In metal recycling the objective is to achieve correct sorting of the metal mixture consisting of aluminium, zinc, copper, brass, and stainless steel. 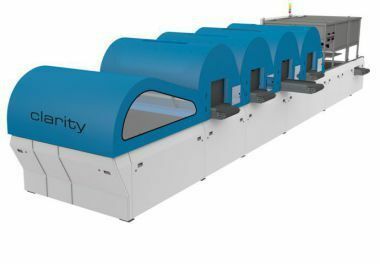 Sesotec‘s VARISORT COMPACT CM+ system ensures reliable recycling with purities of more than 98 %. For plastics-processing companies different production waste or regrind materials must be separated by colour. Once recycled, these materials can be fed back into the production cycle again. With the C colour detection sensor the VARISORT COMPACT system is optimally suited for this task. 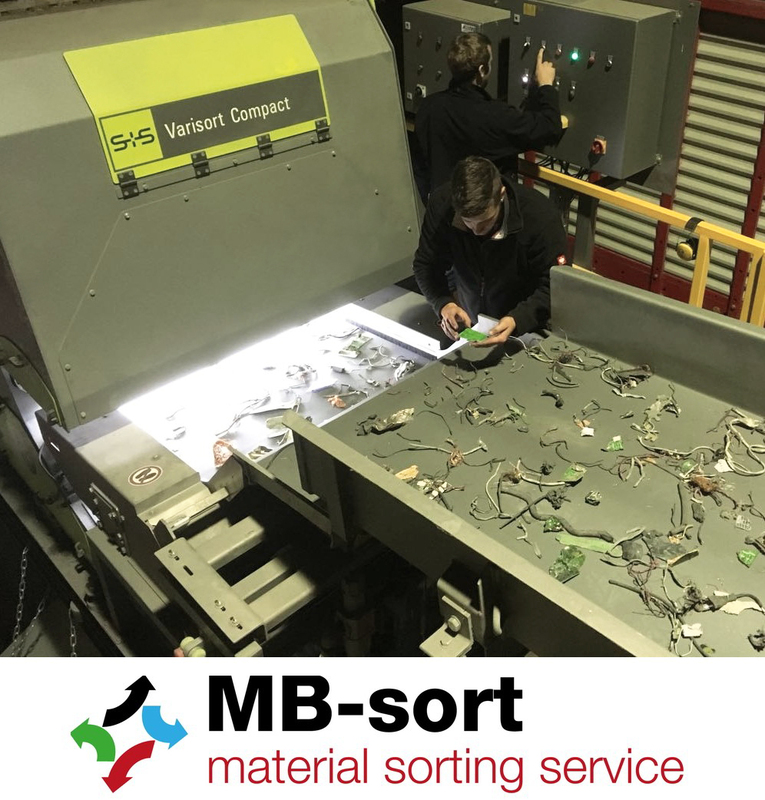 At MB-Sort the VARISORT COMPACT system made by Sesotec allows high-precision sorting of different material mixtures with high throughput rates. With the VARISORT CM+ recycling sorting system MB-Sort is able to perform many tasks of its customers with highest flexibility.